Sawarne produces Select grade dimensional lumber in a wide variety of specifications. Sawarne manufactures Select grade dimensional lumber with sound and tight knots, and limits other natural growth characteristics so they do not detract from the intended end use of the product. Please contact us for more information and pricing. Sawarne's Appearance grade is a non-structural grade manufactured to meet our high standard of appearance requirements for all quality projects. 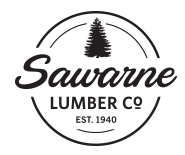 At Sawarne, we pride ourselves on lumber that has little to no rot, wane, holes or bug-holes. Sawarne's Appearance "Dimension" lumber is used for decking, fencing and garden structures..